Our coverage of the 2018 High School National Invite is presented by Universe Point cleats. ROCKFORD, Ill. — Nathan Hale (WA) and Grady (GA) blew through their opponents all weekend to meet in the High School National Invite Championship game on Sunday afternoon in a tantalizing matchup between the two most athletically dominant teams at the tournament. Grady opened with a burst of energy early and held off any Nathan Hale runs in the second half to win the title, 13-10. Aidan Downey, a standout junior from Grady, got the ball rolling early for the Grady offense. A short pull from Nathan Hale gave way to an immediate huck that hit Downey in the back of the end zone for the game’s opening goal. A quick Hale turnover on their first possession gave Grady the disc again, and Downey launched a huck of his own. Wilson Bradley ripped down a big sky over Dempsey Hope-Wight and, controversially, stared him down as Grady went up 2-0. Those opening points set the tone for what would be a phenomenal game from Downey. Nathan Hale answered, fighting back, but not without struggle. After a handful of turnovers on huck attempts in a grinding point, Hale came up with their first score of the game. On the ensuing possession, Tony Venneri, Nathan Hale’s lone U20 Team USA selection, and the rest of the Hale defenders locked down with tight matchup defense and forced a Grady turnover. Venneri led the offense after the turn and got an assist as Nathan Hale tied the game at two. Both teams struggled with execution, particularly as the wind picked up. Hucks veered away from cutters and drops were plentiful, perhaps due to the pressure-filled setting of playing in front of the fans in stands against an unfamiliar opponent with so much at stake. Grady regained their form, however, and went on a big run to take half, collecting three breaks along the way to go up 8-5. The sideline energy was palpable as the team gutted out multi-possession scores against a fiery Nathan Hale defense that gave little quarter. Downey poured in three goals, three assists, and two blocks in the first half, powering the run that would prove to be impossible for Nathan Hale to recover from. Coming out of halftime, Hale dropped a short throw to a cutter. Downey tossed his fourth assist and opened the lead up to 9-5. Nathan Hale caught a glimmer of hope as they mounted a run that began on the following possession. With the Hale girls team, who had just make a title-winning comeback of their own, filling the sideline and making a lot of noise, the team made picked up energy and made quick work of the Grady defense. Tight Nathan Hale defense forced early turnovers from the Grady offense on back to back possessions. After the turnovers, Venneri and Gabe Port fueled the run, picking up a goal and an assist each, as Hale clawed back two breaks. They closed the gap to 9-8 and looked to be right back in the game. Again, though, Nathan Hale stole that break back and got back within one at 11-10 in a game capped at 13. For the second time, Grady marched upwind for a hold. That’s just what they did. Downey lasered a scoober to the break side to Fernandez to clinch the title. Grady’s ability to apply defensive pressure to a Hale team that had faced little resistance until the final was the difference in the game. 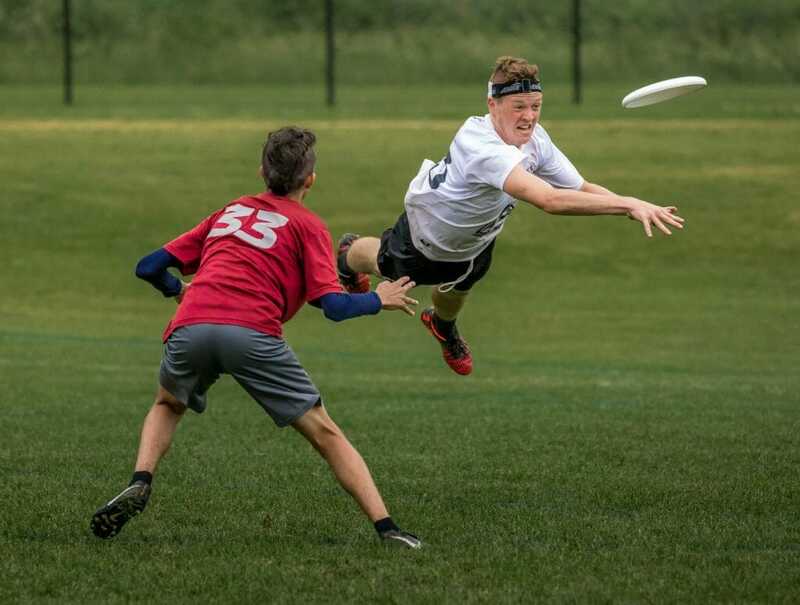 The athleticism of Grady matched up well with Hale’s, and the wind made hucking–a big part of Hale’s attack earlier in the tournament–much more difficult. Aidan Downey and Tony Venneri showed themselves as two of the nation’s top players throughout the game. Venneri put in a load of work, taking on tough defensive assignments and crossing over onto the O-line later in the game. He finished with two goals, four assists, and two blocks. 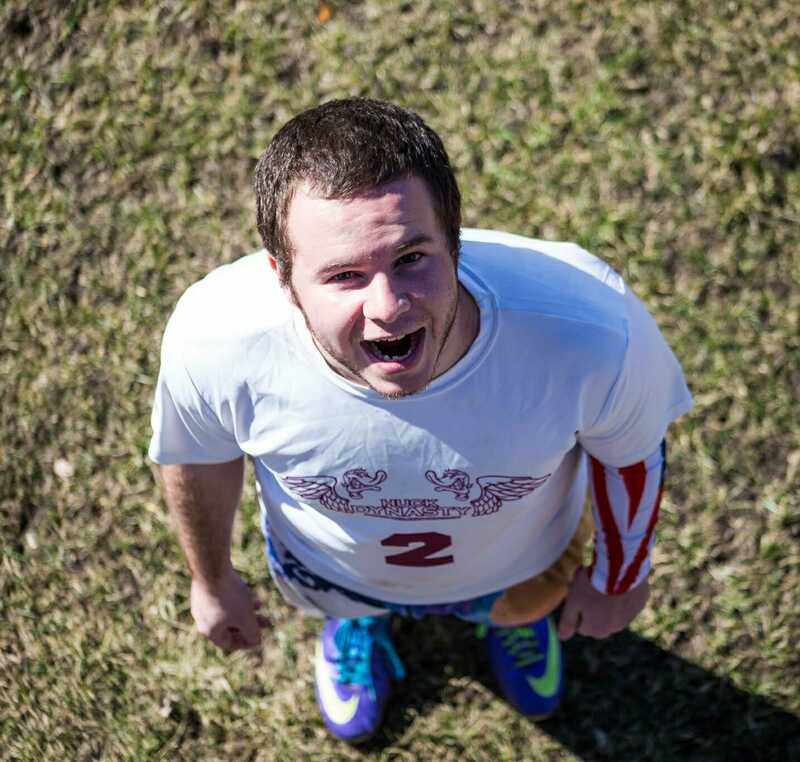 But Downey ruled the field as he had throughout bracket play, involving himself in all but two of Grady’s goals. He finished with eight assists, three goals, and four blocks on just three turnovers. Grady becomes the second southern team to bring home the High School National Invite trophy after Catholic (LA) won it in the tournament’s inaugural year. Comments on "Downey Powers Grady Past Nathan Hale To HSNI Title (Boys’ Division)"